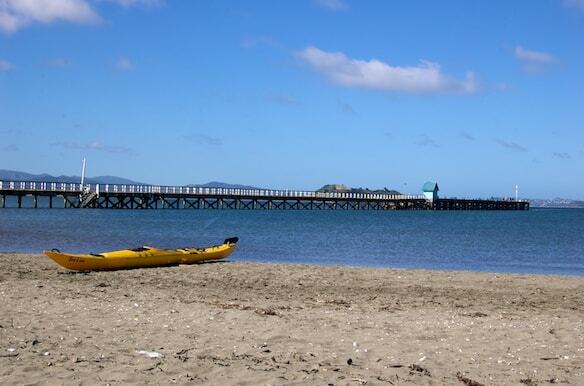 The views from Petone Beach on Saturday were true blue. There were just a few wispy clouds in the sky but otherwise I was surrounded pretty much by blue. It made such a change from the gray blue we’ve been living with for a week or so. Since I was heading south I decided to make a quick photo stop at the beach and take a walk along the Wharf. 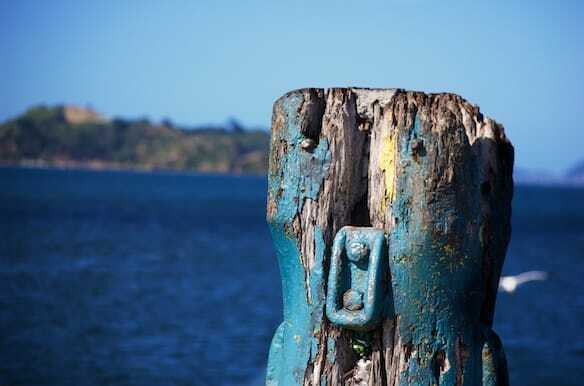 Last time I took my camera to Petone it was also a beautiful day. 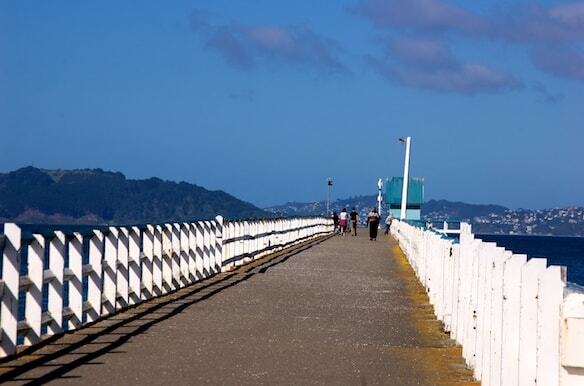 It’s not a pretty beach but it’s a wonderful place to see all of Wellington harbour. You can marvel at the surrounding hills or stare across to the city itself perched on the hillside. 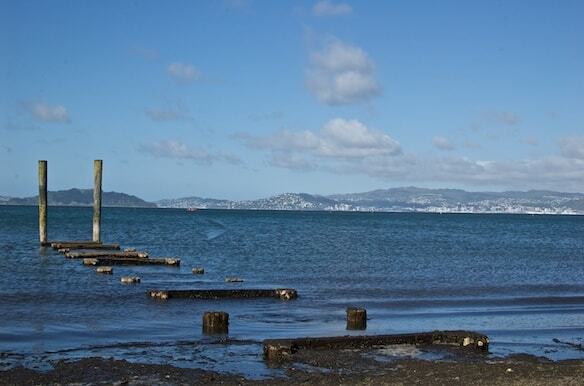 This is the place where the first Maori settlers came to Wellington. Back then it was a smelly bog of a place but over time it’s been developed into a small town with a reputation for fine foodie shops. I was heading off there after my photo foray. I first wandered along Queen’s Wharf where you can catch the ferry into town if you want. And if you’re inclined you can stop and catch your own food. 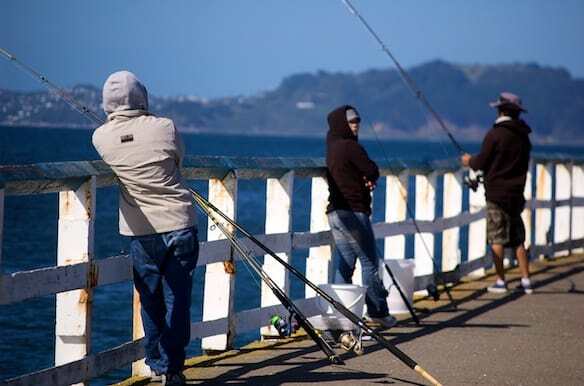 There were plenty of people fishing. People were wrapped up as the wind was a bit whippy. 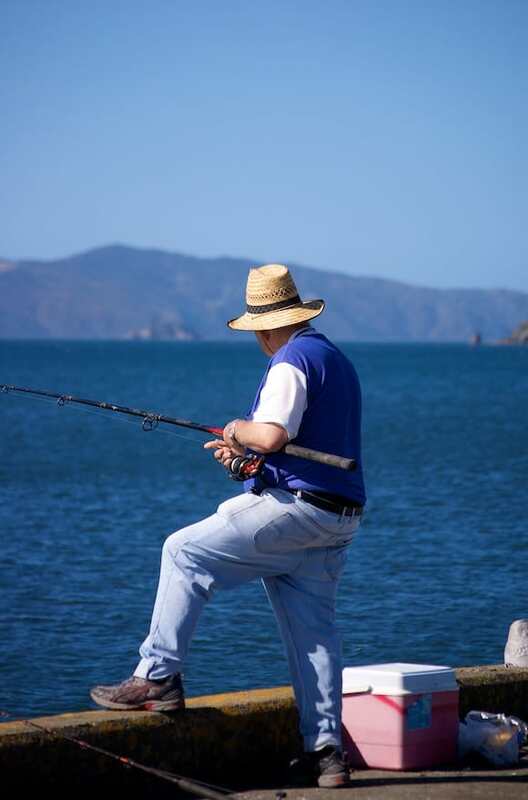 I left my hat in the car as a precaution but this guy was too busy fishing to worry about his hat! At the end of the wharf the view were great but rather too windy for my liking. I preferred wandering along the beach looking across to Wellington. All this beach photographic practice is in readiness for us packing our jandals, buckets and spades for we’re off to the beach – a real swimming, surfing and fishing beach. The bassets are so excited and to be frank so am I. Time for some rest and relaxation. And no doubt a spot of photography. Can’t wait.